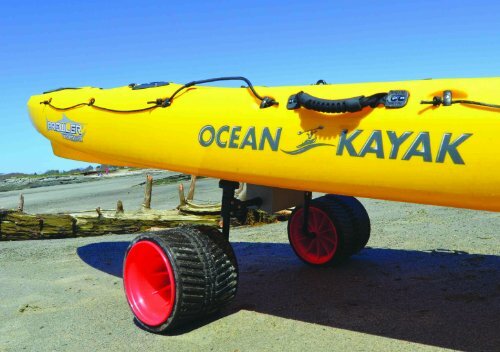 The Malone Xpress Scupper Kayak cart with the all-terrain Rover wheels will effortlessly transport your sit-on-top kayak across mud, sand and bumpy terrain. 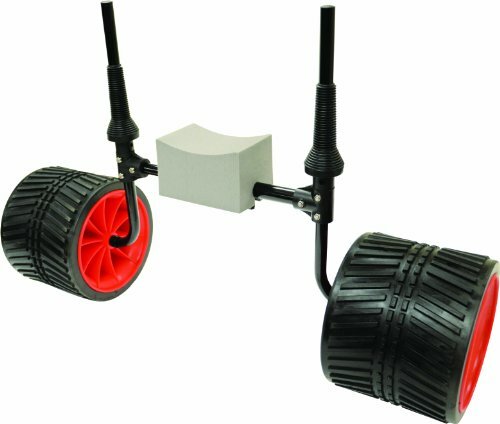 Features variable width control, 10" airless tires and a removable oversized center pad. Includes an aluminum frame, upright padding and stainless steel hardware. Fits most standard kayaks equipped with scupper holes. Adjusts in width from 6.5" to 17.5". 200 Lb. load limit. Variable width locking control adjusts from 6.5" to 16.5"